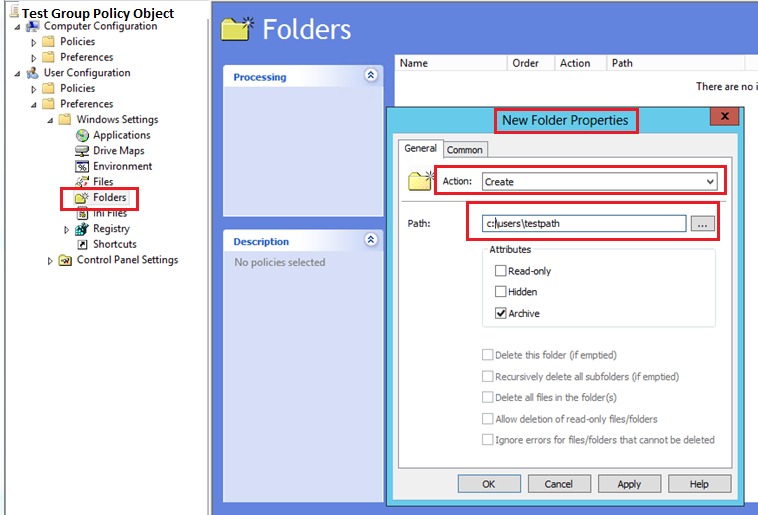 Techies Sphere: How to create a common folder all users across domain using Group Policy? How to create a common folder all users across domain using Group Policy? 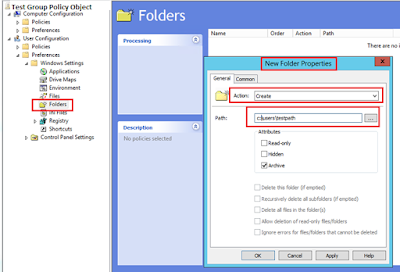 Or, Create a folder in all user’s profile using Group Policy. Login to your Domain Controller Server > Open Group Policy Management Console > Create a New Group Policy Object > Go to User Configurations > Preferences > Windows Settings > Folders> Right Click and Select New Folder > Select the action Create in this case or any action you want (Update/Delete etc..) > Select path where you want this folder to be created > Run gpupdate /force to update the policy forcefully. Example: if the path is C:\users\testfolder , a Folder with the name “testfolder” will be created under every user’s computers path C:\Users.